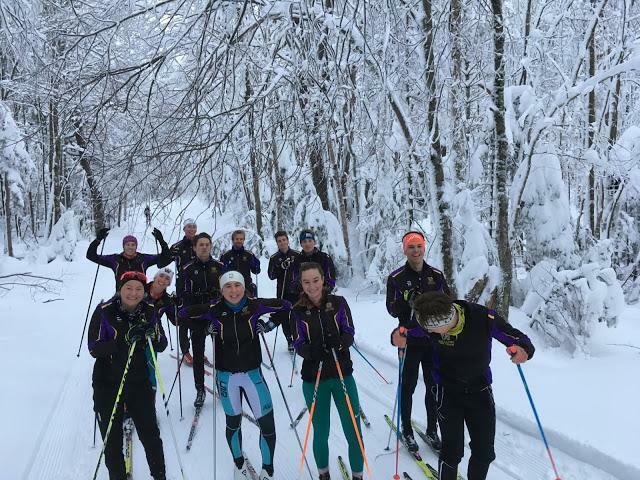 Nordic skiing updates fans on its latest practice runs and team travels at Ephnordic.blogspot.com. The team also has a Facebook and Instagram. The women won NESCACs with 1873 points, taking their sixth consecutive win and 18th victory in the meet’s 19-year history. Photo courtesy of Sports Information. How did you start competing in track and field – and jumping, more specifically? I started my junior year of high school. A new initiative at Driscoll, “Training Wise,” is designed to help active students eat nutritionally-balanced and well-portioned meals. Alan Hirsch and his son Eric Hirsch ’19 have attended Eph basketball games together since 2003 and now serve as NSN commentators. Photo courtesy of Sports Information.